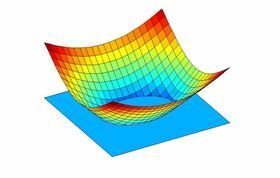 The MATLAB figure viewer is now available in over 100 Elsevier journals, spanning materials science, computer science, engineering and more. This feature displays MATLAB FIG files as figures that can be viewed interactively next to your online HTML article. FIG files may contain experimental data, numerical results, a visualization of a model, or other kinds of data-based, visual research output. The FIG file format also captures the underlying data, allowing for viewing at maximum accuracy and facilitating the validation and re-use of research results. This is one of the ways in which we are improving the format of the scientific article through the Article of the Future project. The MATLAB figure viewer functionality enables authors to enrich and extend their article by adding interactive figures. This provides a way to highlight their findings in a visual and easily accessible manner, helping readers to quickly understand the relevance of a research paper, to visualize research data for deeper insights, and to access the underlying data.